"The Fowey Hotel is one of Cornwall's hidden treasures. This beautiful luxury Cornish hotel's idyllic location sets the scene for a relaxing, peaceful and enjoyable stay." All reviews are the subjective opinions of third parties and not of the website or its owners. Reviews are placed by members of the public that have held a function or event at Fowey Hotel. 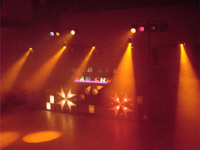 At needadisco.com we only accept reviews from confirmed clients that have booked a DJ to play at Fowey Hotel via our website, with the arrangements independently verified by both the DJ and the client before the event takes place - no "fake reviews" here! 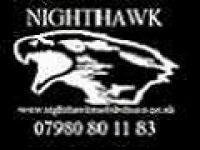 Helpful information for DJs and entertainers visiting Fowey Hotel provided by trusted members of needadisco.com. PARKING: Parking is quite limited if its busy and can be tricky to find a space. ACCESS: If you can park by the loading area, you then have to go down around 12 concrete steps, and down a 20m passage way all outside to an emergency exit, you can load via this door the function room ai another 5 meters. ADDITIONAL COMMENTS: "It is quite a dark room, so good quality lighting effects would be recommended, The floor is the type that when a high quality bright lighting effect hits it, it appears to just absorb the light. For this reason I dont believe cheap lighting effects would work very well at this venue. It is a very nice hotel in a lovely peaceful location, and is perfect for weddings, private and cooperate functions, highly recommended." Information is based on enquiries and bookings handled via needadisco.com so whilst it's a great insight, if you have any questions or concerns about holding a function or event at Fowey Hotel please contact the venue. Fowey Hotel has previously been hired as a venue for private parties such as birthday celebrations, anniversaries, engagements etc. Fowey Hotel has previously been hired as a venue for functions and events such as sports club social evenings, masonic events etc. Fowey Hotel is in our Hotels category. The map below shows other local venues in the same category.